School not only teaches the necessary subjects of life to the student but also make them aware of discipline and punctuality. 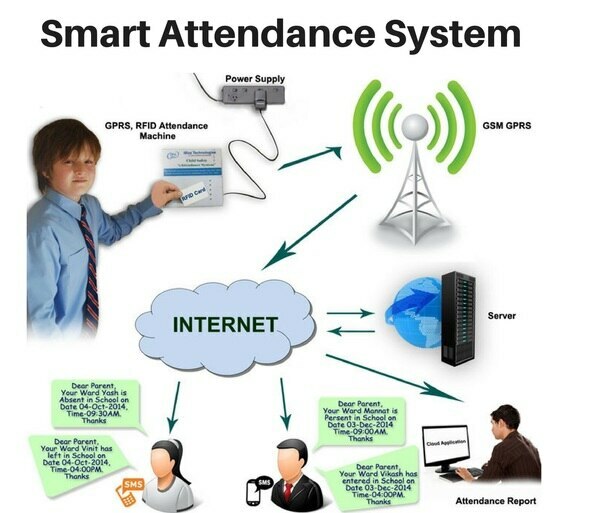 The automatic time attendance system is good way of keeping attendance records informing parents for their child school entry exit status for security and creating a more disciplined and punctual environment within the school. This system is very much capable of delivering automatic sms to parents and attendance reports to school admin team. Automatic School Attendance System not only record attendance of students and notify the guardians but also records the attendance of school staff and send sms to principal if any staff is absent that day from the duty. We have few different solution types to suit school college or institution requirements.